Planning Subject Description. Guide N O B L E S V I L L E H I G H S C H O O L.
Download "Planning 2014-2015. Subject Description. Guide N O B L E S V I L L E H I G H S C H O O L. www.noblesvilleschools.org"
3 NOBLESVILLE HIGH SCHOOL CORE VALUES We believe that All individuals have equal value. People should treat others with dignity and respect. People are responsible for the choices they make. Learning is important, and all people can learn. 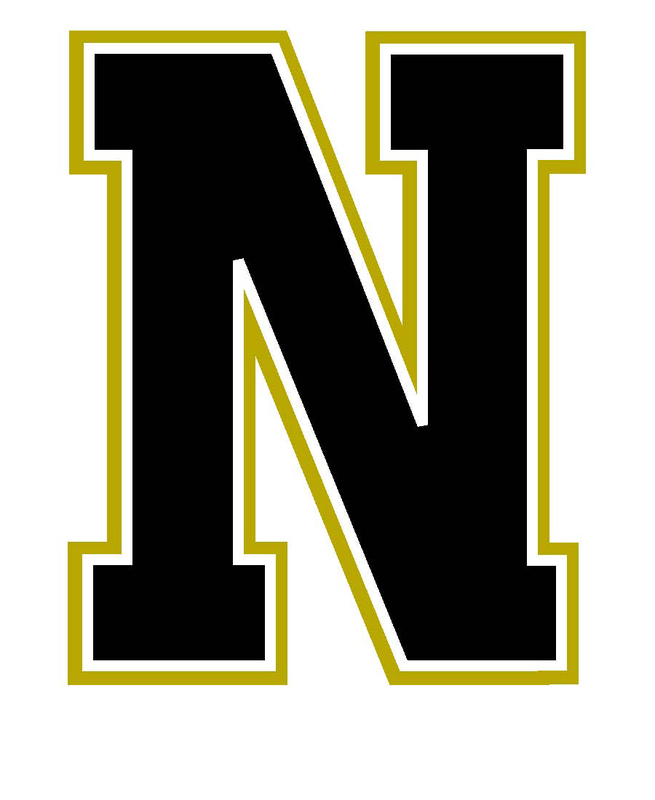 CONTENTS Career Preparation/Career Pathways...2 Enrollment/Class Schedule Changes/Testing...3 Vocational School...3 Learning Lab...3 Alternate PE Credit...4 High School Credit Earned in Middle School for Math and World Language...4 Accelerated Program of Studies...5 Diploma Criteria Course Listing Full course descriptions are available on the NHS website: Choose Noblesville High School> Choose the Guidance Tab> Scroll down to "Course Descriptions"
5 Class Schedule Changes There is no drop and add period at NHS. Students have until June 15 at the end of each school year to make course selection changes if space is available in the requested course. The Director of Guidance and/or Administration must approve exceptions to this policy. Students and parents should check the schedule carefully to make sure all classes for the student's selected diploma are scheduled. Call the Main Campus Guidance Office immediately at if you have questions or concerns about a student's graduation progress. Auditing Courses Students who have earned a credit in a course with a grade lower than a "C-" may retake the course to better master its content or to meet minimum grade requirements to qualify for an Academic Honors Diploma. Only audits of the same course are allowed; a similar course of a lower level of difficulty (i.e. unweighted grade) may not be considered an audit of a more difficult course. Students who plan to retake the second semester of a yearlong course may also retake the first semester of that course. Both the original grade and the grade earned when the class is retaken will appear on the student's transcript and be factored into the student's GPA. No additional credit is earned when a student audits a course. Audits under other circumstances must be approved by the principal or designee. Requests to audit or retake a course may be denied by the principal/designee if sections are overfilled. NHS Learning Lab Grades The Learning Laboratory program s mission is to provide NHS students the opportunity to earn high school credits through varying instructional strategies in a smaller, more independent environment. Students attend a three-hour academic component combined with a work or Career Center, volunteer service, or regular half-day NHS schedule component. The Learning Laboratory program is intended to meet the needs of those students at risk of not completing high school, helping them graduate and transition into further education or on-the-job training. It is designed to recognize each student as an individual with a unique combination of needs, concerns, desires, attitudes, and abilities. Instruction occurs in an independent or small group study program in a lab setting. Students receive instruction in different forms through computer software, textbooks, and projects. Operation: The Learning Laboratory is located at Noblesville High School. Morning LL meets from 7:35 to 10:35. Afternoon LL meets from 11:35 to 2:35. During the other three hours of the school day, students work, volunteer, or follow a regular high school schedule. Additionally, some students attend for 90 minutes every other day. This group includes students who are significantly behind in credits. Prerequisite: Admission to the Learning Laboratory is by application. Students are evaluated by the guidance counselors who recommend them for consideration to the program. Students showing a strong desire to graduate demonstrated through their choices and attendance receive first placement into the Learning Lab. Credit Recovery Program Credit Recovery is an option for students who have previously failed classes. Upon referral, students must submit an application signed by the parents requesting that the student be accepted into the credit recovery program. This program uses NovaNET, a web-based curriculum offering students individualized programming for academic credits towards graduation requirements. Student Selection Criteria: Able to read at the 7th grade level Credit deficient by at least 2 credits per grade level (grades 9-12) 3 Vocational School J. Everett Light Career Center Grades 11, 12 (3 credits per semester) JEL provides vocational and technical training for juniors and seniors who are interested in preparing for a specific occupation. Students should apply to their counselor in the spring of their sophomore year for a two-year program or the spring of their junior year for a one-year program. Students are required to maintain satisfactory attendance and behavior for the entire year. Students may ride a bus provided by NHS except for those students enrolled in the Cosmetology program. Students must provide their own transportation in this program because the program times do not coincide with NHS school time. Prerequisite: Satisfactorily progressing toward high school graduation and application approval from the high school administration. (If NHS is unable to send all applicants due to quotas established by JEL, parents/guardians and students may be required to meet with a screening committee.) Enrollment in these programs is for a full year. Changes are not permitted at semester s end. Students interested in entering a vocational program at JEL are expected to attend an open house there in the spring. Testing Program PSAT/NMSQT [Preliminary Scholastic Aptitude Test/National Merit Scholarship Qualifying Test] The PSAT measures critical reasoning, math, and non-essay writing skills and is administered only in October to sophomores and all college-bound juniors. High scoring juniors may qualify for eligibility in the National Merit Scholarship Program. ACT Aspire The ACT Aspire program helps 9th grade students build a solid foundation for future academic and career success. It is a comprehensive guidance resource that helps students measure their current academic development, explore career/training options, and make plans for the remaining years of high school and post-graduation years. As a "pre-act" test, ACT Aspire is a powerful predictor of success on the ACT. PLAN includes four mulitple-choice tests: English, Math, Reading, and Science. SAT [Scholastic Aptitude Test] The SAT measures critical reading, math, and essay writing. Tests are given 6-7 times each school year, including tests at NHS in October, January, and May. Most colleges require this or the ACT as part of the admissions process. Juniors should take the two college admissions tests in the spring semester and retest the following fall (if needed). Online registration is available at SAT Subject Tests The SAT Subject Tests measure areas of English, advanced math, science, social studies and world language. Up to three hour-long tests can be taken at any one test session. These tests are required at some highly selective schools as part of their admission procedure either for entry purposes or for placement. Students should check specific college criteria to see if the SAT Subject Tests is required. Test dates are the same as the SAT. Registration is online. ACT [American College Test] The ACT measures verbal, math, reading, science reasoning, and writing skills. Most colleges will acccept either the ACT or the SAT for admission. Since formats differ, it is recommended that NHS students take each test at least once to compare scores earned. The test is administered 5 times each school year, including September, October and February at NHS. Online registration is at actstudent.org. AP (Advanced Placement) Exams Students in AP courses at NHS are encouraged to take the corresponding AP exams in May. Most colleges grant credit for college courses covering the same material to students who have scored at or above certain levels on a 1-5 scale. Registration is at NHS in March. Students scoring 3 or above will receive credit at Indiana's state schools. ASVAB(Armed Services Vocational Aptitude Battery) Given in the junior year to military-bound students, ASVAB measures aptitude in a variety of areas including math, English, writing, science, and mechanical and technical abilities. It is also one of the best interest inventories and can be very helpful in career decision making. There is no obligation to the military. 6 Alternative PE Credit The Alternative PE credit option is in effect beginning the school year. There will be no credits granted for any previous school year. Students may choose to complete an Alternative PE application for one or two of the required PE credits for graduation. Students/Parents may submit an Alternative PE application for the following: ISHAA athletics: Baseball Basketball Cross Country Football Golf Tennis Gymnastics Soccer Softball 4 Swimming Track Volleyball Wrestling Marching Band one season consists of summer marching through the end of semester one. Cheerleading one credit may be earned per year of cheerleading. Dance one credit may be earned per year of dance. Golden Guard one credit may be earned per year of Golden Guard. A complete season is defined as first practice to final event. The student will participate regularly in physical activity, demonstrated by participation in over 90% of group activities (injury free) or 66% due to major injury (NHS athletic trainer or physician signature required). The coach or activity sponsor determines whether the student meets the eligibility requirements. Students may not participate in Athletic Weights until the Alternative PE credit contract is received. It may take students more than one school year to complete the PE requirements. All contracts must be turned into the NHS guidance office. One contract must be signed and submitted for each activity. For example if a student participates in football and track, or marching band and wrestling a contract must be submitted for both activities. Student participation in any activity not listed above is not eligible for the Alternate PE credit. Students should enter the grade level for the year they are participating in the activity. For example: sophomores who file the contract for the following school year should list their grade level as 11. It is the students responsibility to contact their guidance counselor to make a schedule change by June 15 if they wish to earn credit through the Alternate PE credit application but are currently enrolled in PE for the following school year. Students must complete their Alternate PE credits by the end of the junior year. Seniors are not eligible for the Alternate PE credit due to possible injury in the activity. All PE Waivers must be turned in to the NHS Guidance office no later than June 15 for the following school year for both semesters. High School Credit Earned in Middle School for Math and World Language Students may obtain high school credit for high school World Language completed prior to entering high school. Students and their parents need to carefully read the following guidelines and requirements. Courses taken for high school credit will count towards the grade point average. A student must earn a grade of C or higher both semesters in order to earn credit. Students who earn a C or higher will be placed in Spanish II for the 9th grade year. Courses taken for high school credit while a student is in middle will count toward Core 40 or Core 40 with Academic Honors Diploma world language credit requirements. Students may obtain high school credit for high school mathematics courses completed prior to entering high school. Students and their parents need to carefully read the following guidelines and requirements. Courses taken for high school credit will count towards the grade point average. A student must earn a grade of C or higher both semesters in order to earn credit. A student receiving a B- or better each semester, whether or not for credit, cannot retake the course for credit at the high school. A student earning a C- or below either semester should consider retaking the course to meet the pre-requisites for the next level course within the discipline. Any student who retakes the course will receive only the credit and grade earned at 9th grade or above. Courses taken for high school credit while a student is in middle school will not count toward Core 40 or Core 40 with Academic Honors Diploma math credit requirements Letters of Understanding accepting credit for both courses will be available in the spring of the 8th grade year and must be returned to the NHS Guidance Office no later than June 15 following the 8th grade year. Students may choose to accept credit in one or both areas. 8 Diploma Criteria Indiana General High School Diploma Indiana's Core 40 curriculum provides the academic foundation all students need to succeed in college and the workforce, and the Core 40 Diploma is the basic Indiana high school diploma. To graduate with less than Core 40, the following formal opt-out process must be completed: The student, the student's parent/guardian, and the student's counselor (or another staff member who assists students in course selection) meet to discuss the student's progress. The student's career and course plan is reviewed. The student's parent/guardian determines whether the student will achieve greater educational benefits by completing the general curriculum or the Core 40 curriculum. If the decision is made to opt out of Core 40, the student is required to complete the course and credit requirements for a general diploma, and the career/ academic sequence the student will pursue is determined. Explanation of Credits A student may earn one (1) credit in courses scheduled to meet for one semester. Credit totals for all diplomas must be earned in grades Courses taken in middle school (e.g. Mathmatics and World Language) will be acknowledged on the transcript, but will not count toward total number of credits needed for graduation or be factored into GPA. 6 Core 40 with Academic Honors Diploma Graduating class of 2015 English Mathematics Algebra I, Geometry, Algebra II, Higher Level Mathematics (credit earned in high school after class of 2011) Science in Biology I in Chemistry I or Physics I or Integrated Chemistry/Physics 2 Additional Credits in Chemistry, Physics, Earth/Space Science, Advanced Biology Social Studies in US History 1 Credit in US Government 1 Credit in Economics 2 credits in World History or 2 credits in Geography and History of the World World Language 6- Must include 6 credits in one language or in 2 languages (credit earned in high school after class of 2011) Physical Education I, II Health Fine Arts Electives 1 Credit 6- Complete one of the following: Two Advanced Placement courses (four credits) and corresponding AP Exams Academic, transferable dual high school/college courses resulting in 6 college credits Complete a combination of AP courses (2 credits), & corresponding AP exams, & dual H.S./college credit coure(s) from the Core Transfer Library (3 credits). Score of 1200 or higher combined SAT math and critical reading Score of 26 composite ACT Total Required 47 Credits Student must earn a C- or higher in all AHD courses and maintain an overall GPA of 3.0 or higher. End of Course Assessment (ECA) in Algebra I and English 10 Graduating classes of 2016 Forward English Mathematics Algebra I, Geometry, Algebra II, Higher Level Mathematics Science in Biology in Chemistry I or Physics I or Integrated Chemistry/Physics 2 Additional Credits in Chemistry, Physics, Earth/Space Science, Advanced Biology Social Studies in US History 1 Credit in US Government 1 Credit in Economics in World History or in Geography and History of the World Foreign Language 6- Must include 6 credits in one language or 8 Credits in 2 languages Fine Arts Physical Education I, II Health 1 Credit Electives 7 Credits Complete one of the following: Two Advanced Placement courses (4 credits) and corresponding AP Exams Dual high school/college courses from the priority course list resulting in 6 verifiable transcripted college credits Advanced Placement course (2 credits) and corresponding AP exam and dual high school/college courses from the priority course list resulting in 3 verifiable transcripted college credits Score of 1750 or higher combined SAT math, critical reading, and writing and a minimum score of 530 on each section Score of 26 composite ACT and completion of the writing section Total Required 47 Credits Student must earn a C- or higher in all AHD courses and maintain an over all GPA of 3.0 or higher. Graduation Exam (Algebra I and English 10 End of Course Assessments) Students must be enrolled in a mathematics or quantitative reasoning course during the junior or senior year. Students must earn eight (8) math credits during high school. This course is not open to students who have already earned credit in IT Essentials. Course selections will be completed online. In February and March, their counselors will review student course requests on an individual basis.